^Thanks for the nice words man. Always good to see a fellow doom and black metal fan. I had never heard of TNOBMPS before but I checked them out just now. Sounds pretty good. Doom and black metal are certainly two of my favorite genres of music though. I wasn't into black metal so much until recently, but I've become addicted to it recently. Anyway, thanks again for the band and the nice words and like I said nice to see there is someone else here with a taste for some doom and black metal. Yeah, for sure. You may also wanna check out Triptykon if you haven't already. I posted a link to thier album, Eparistera Daimones, on the first page of this thread. Anyway, Triptykon is Tom Gabriel Warrior's (formally of Celtic Frost and Hellhammer) new band, and they play some very good-sounding, doomy black metal. I need to listen to the Triptykon release again. I know it would certainly be within my top 10-15 metal releases. Very good. I'm a huge Ef fanboy so this is a obvious pick. I think it's their best album yet, really good emotional post-rock album. 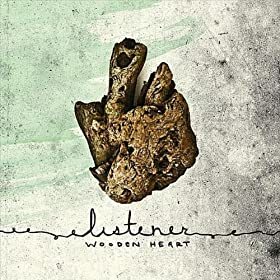 Another great post-rock album. I heard they wrote this album after the quitarists mental breakdown. Pour More Oil is propably the best post-rock track of the year. Really interesting album and artist. Listener aka Dan Smith is a beautiful moustached man who has been performing his talk music for nearly ten years now and this is in my opinnion his best one yet. Dan Smith performs his poems in such a emotional way it sends shivers down my spine. Probably only for die-hard Cash fans, this album is pure emotion. This album should be the soundtrack to your next road-trip. An interesting concept album. The theme songs for T.V. shows that don't exist. Sharon Jones & The Dap-Kings make the best Soul music since the 1970s. An album of covers that doesn't sound like an album of covers, all the tunes sound fresh. "Laredo" may be one of the best songs of the year. Her version of “Love Reign O’Er Me” from the Kennedy Center Honors ceremony sparked the idea for this album. the highlight for me is "Wish You Were Here", she now owns this song. Rock & Roll is alive and well on these two discs, turn it up! The best country music around today. The combination of Gospel, R&B and Jeff Tweedy...say what...it equals awesome. The best Americana records this year came from a couple of Brits...go figure. Originally a three song EP that came with Armed Forces (I still have mine) it's great to hear the whole concert. Parts of this have come out on other records but this is all of the recordings made live at The Whisky-A-Go-Go...60s Soul perfection. ^Yeah, I thought the Johnny Cash album might be for die-hard fans only, too. Very good though. Nice to see another Ryan Bingham fan here, I thought his other two releases were really good. I've gotten the new one but yet to really listen to it, so once I check it out it will likely make my list. My ears are still shivering from that little women album. Noise Jazz FTW. A brilliant psychedelic stoner rock experience. Their performance was magic and so are their albums. Wolf People released two albums this year. How do they do it. I prefer this one to their second one, because of it's beautiful atmosphere. It's really an experience, more than an actual album. This is more an actual album than their first. Favourite song: Not sure yet, only played the album two times so far. The best thing they did since "Sunshine hit me". Beautiful dreamy music with influences of folk, reggae, psychedelica. It's a very nice trip. First track is the single which isn't all that brilliant, but it's the first track so you just sit trough that. After that, close your eyes and this album will carry you away. I was surprised about how much I loved this one. I'm not at all intro samples and electronic music. Balthazar is nothing but samples. But the melodies are so beautiful and the strange way they sing together. Shivers down my spine. I'm usually not into this sort of music, but Tame Impala somehow works for me. I can't really tell you why. I just like the entire sound of the band. There's not one specific thing I can point out that makes this band special for me. I must admit, I still haven't got the album. It's still waiting for me at my music store. There's always a pile of records behind the counter. But when I get there, they always give me some new stuff to listen to, so the pile only gets bigger everytime I get there. I can't buy it all in one go, too expensive. I heard them at the Lowlands festival. I haven't even seen them. It was the first band that day and we were sitting on the grass, enjoying our beer. And one of a sudden I realized I was listening to something entirely different than I am used to, but brilliant neverthelss. I love their freaky rythms. They manage to make something completely new, without making it unlistenable. Great! I only have the album as an mp3 download so I can't really tell you yet 'cause I don't listen to it much. Dutch Reggae! You don't run into a good Dutch band very often. These guys know what reggae is all about and their live performances are musically brilliant and funny as hell. Had a great time listening to them and bought their album rightaway. I really have this thing for CCL. Wild Wood is a bit soft and not as pure as their first albums. But I repeated it like three times when I got the album. It's easy listening in optima forma. It doesn't get boring, it doesn't intrude and still it's not one of those albums you play without actually listening to them. It's nice, it's sweet. Favourite song: It all sounds rather nice, so here's just one song of the album. God I hate this album as much as I love it. The music is... Brilliant, incredibly brilliant. So dreamy yet so intense. I already knew "Harmonium", but this is so much more interesting. The reason I hate it... What the **** were they thinking when they were recording it. It sounds absolutely rubbish. The only thing I can hear is limiters slamming all the time. This is really an album you should listen to in one piece, not easy to get the impression by listening to just one song. I suggest you have a look on their myspace and listen to some of the tracks there. This is the best experimental album I've heard in a long time, possibly ever. It's just amazing, 'nuff said. This album was probably the biggest, most pleasant surprise of the year for me. I was expecting fairly standard indie rock, but instead was treated to something much more delightful, fun, and adventurous. This album combines not only standard indie rock, but also elements of progressive rock, math rock, pop punk, and heavy metal. It's technical, catchy rock and roll joy. The sound of everyone high-fiving everyone. The Dillinger Escape Plan "Option Paralysis"
I had high expectations for this album and was not dissapointed. The Dillinger Escape Plan have released yet another mathcore masterpiece. This album could be described as a refinement of everything they've done over the years. The mathcore is as heavy and technical as ever, the catchy moments are more plentiful, Greg's voice has been pushed even farther, and the whole package is filler-free. This isn't their best album (I prefer the more experimental, electronic-influenced Ire Works) but it comes damn close. Excellent. Kanye West "My Beautiful Dark Twisted Fantasy"
What can be said about this album that hasn't been said already? Believe the hype, this album rules. 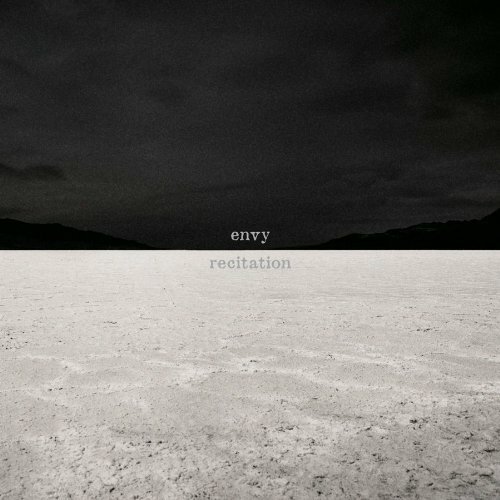 This album is easily Envy's finest work. It's atmospheric, emotional, and breathtaking. It's large in scope and masterfully executed, and displays Envy at the top of their game. Their screamo and post-rock blend has reached perfection.